The newest boy at Mrs. Timmins's Home for Orphans and Foundlings awakes at first light with no name and no memory. But a strange girl who hides among the shadows of the orphanage tells him that a mysterious wizard's creation, the Book of Lies, holds the answers, and then gives him one clue: "Your name is Marcel." 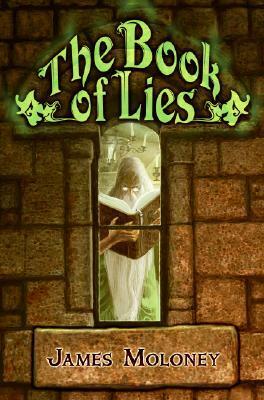 With that knowledge, and the help of three new friends, Marcel begins a quest to find the truth about his real identity--a truth that is hidden in the Book of Lies. As Marcel learns more about his past, he realizes that truth can change at any moment and can be manipulated by anyone, and he begins to wonder if the old book's so-called magical truth might be the greatest lie of all.